(Oct. 29, 2012) -- The University of Texas at San Antonio announces President and CEO of Silver Eagle Distributors John L. Nau III and his wife, Barbara "Bobbie" Nau, have pledged $1 million over the next five years to establish the Nau Scholars Program Fund. The fund will help UTSA recruit and support talented undergraduate and master's students in history. "John's passion is history, and he and Bobbie are using their philanthropy to advance knowledge in the field," said President Ricardo Romo. "I am extremely grateful to John and Bobbie for creating this opportunity for UTSA to recruit highly qualified students from around the country, while at the same time helping the university advance to Tier One status." The Nau Scholars program will support undergraduate students in history by creating scholarships that will help them focus on their education. Additionally, it will create fellowships and teaching assistantships for master's students in history. The fellowships will provide UTSA graduate students with valuable teaching experience, one focusing on Texas history and another on the U.S. Civil War era. The gift also will allow UTSA to introduce new instructional technologies in the history curriculum, preparing students for matriculation into top doctoral history programs. "John and Bobbie's gift will go a long way toward raising UTSA's visibility among high-achieving students around the country who are interested in pursuing history degrees," said Dan Gelo, dean of the UTSA College of Liberal and Fine Arts. "The gift also will help the UTSA Department of History position itself to develop a doctoral program." "This investment will help strengthen the history department by providing resources to recruit some of the best undergraduate and graduate students pursuing studies in history," said Nau. "The UTSA Department of History has the potential to make many great scholarly contributions to Texas and to the U.S. I'm proud to help UTSA advance to Tier One." Silver Eagle Distributors is the largest distributor of Anheuser-Busch products in the United States. Nau is a graduate of the University of Virginia, where he earned a bachelor's degree in history, and is an avid collector of authentic Civil War memorabilia. 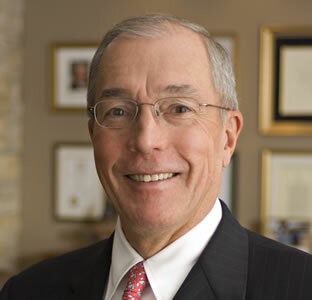 In 1995, he was appointed by Texas Governor George W. Bush to serve as chairman of the Texas Historical Commission. In 2001, President Bush appointed Nau to serve as chairman of the national Advisory Council on Historic Preservation. Nau served in the roles until 2009 and 2010, respectively. An active member of the community, Nau supports a variety of organizations in the health care, education and nonprofit sectors. He also serves on the boards for the National Park Foundation, Texas Historical Commission, Texas State Historical Association, San Antonio Parks Foundation, Greater Houston Partnership and Discovery Green, among others. The commitment from the Naus has greatly contributed to UTSA's success in raising $110 million in the last three years as part of its first capital campaign, including $17 million since the campaign was publicly launched in April. The university's goal is to raise $120 million by 2015.